Some local newspapers print police dispatches. These are usually pretty basic, detailing the time and reason for dispatch. 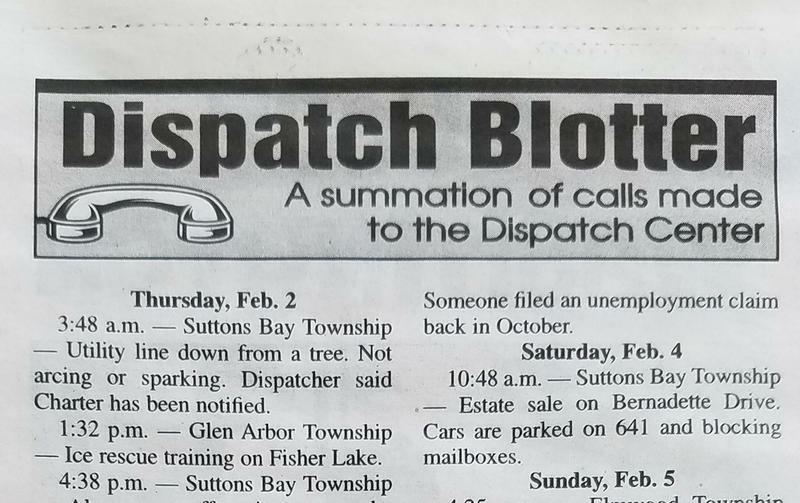 But one Northern Michigan newspaper takes its dispatch report a step further - and the results can be hilarious. The Leelanau Enterprise covers news in Leelanau County, and is popular among locals and tourists alike. 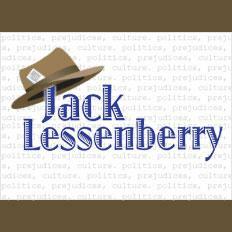 The real gem in the Enterprise can be found in the “Courts” section, where one can find descriptions of 911 calls made by concerned citizens. 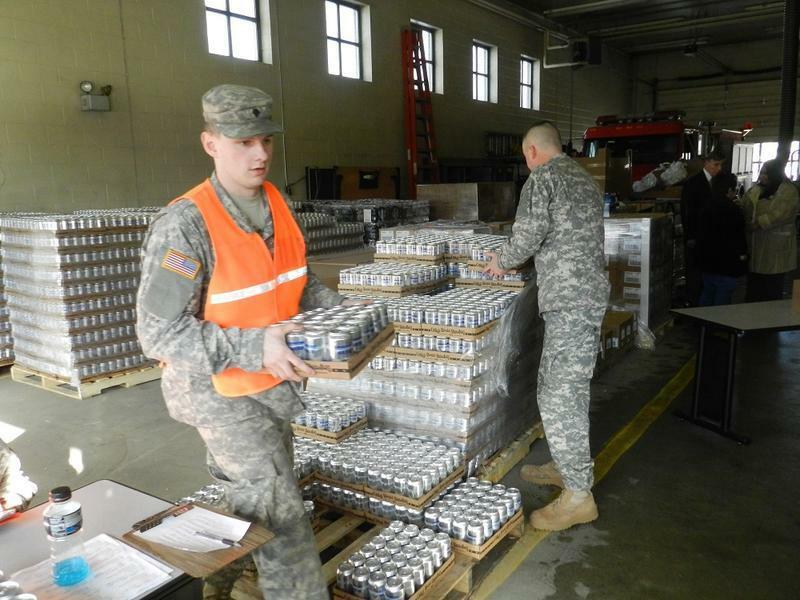 The state of Michigan is setting aside more money for future disasters and emergencies. This past week, Gov. Rick Snyder signed a bill to raise the cap on Michigan’s Disaster and Emergency Contingency Fund from $4.5 million to $10 million. The fund provides state assistance to counties and municipalities when federal assistance is not available. A new report ranks the healthiest and least healthy of Michigan’s 83 counties. Ottawa County topped the rankings as healthiest, while Wayne County placed at the bottom. 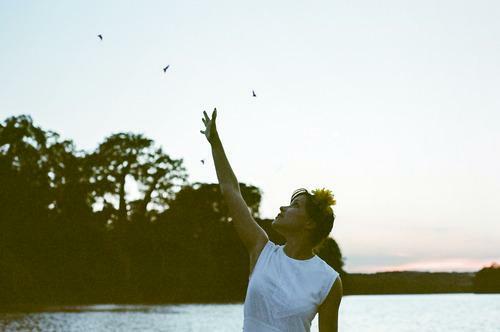 But there’s no geographic pattern to the rankings put together by the Robert Wood Johnson Foundation and University of Wisconsin researchers. 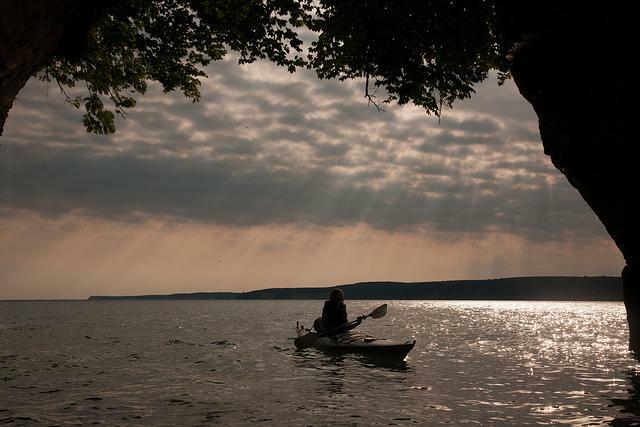 The night before last, I drove to Suttons Bay in Leelanau County, just a few miles north of the Sleeping Bear Dunes. I went there to get inspired, and I was. Not by the magnificent scenery along Grand Traverse Bay, though it is still lovely country even in this season of competing rain, snow and mud. I went there because the League of Women Voters just formed their own Leelanau County chapter – the twenty-first chapter in Michigan – and had invited me to speak. What I’ve found out over the last few weeks is that even in our information overload society, a dismayingly large number of people have no idea what the league is or what it does. Some think they are the little old ladies who check your name off the voter list at the polls. In fact, the League of Women voter s is, more than any group I can think of, everything good about Democracy in action. 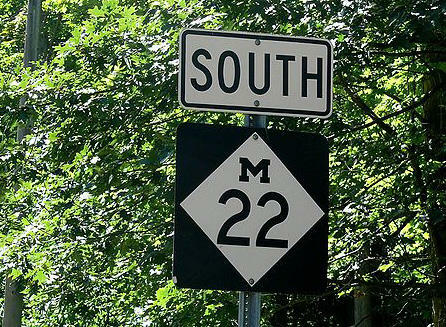 M-22: Who owns the rights to road signs in Michigan? Several weeks ago I posted on the debate taking place over the trademark owned by brothers Matt and Keegan Myers. They've captured the love people have for northwest Michigan and Leelanau County with their M-22 business. 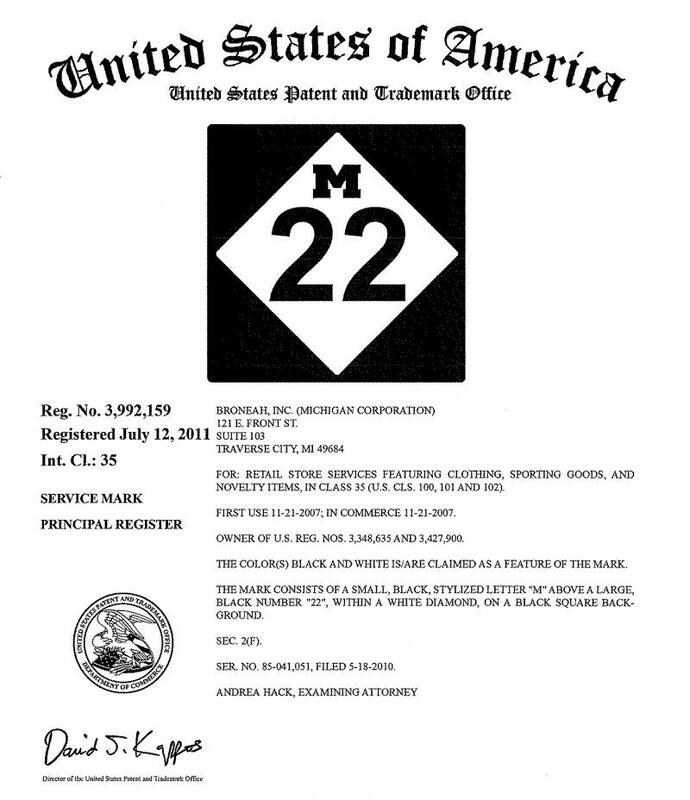 M-22 has been a success, but they've also been working to keep others from selling stuff emblazoned with a Michigan state road sign symbol. Owners of M-22 logo promise to "go down fighting"
Several years ago, brothers Matt and Keegan Myers had an idea - capitalize on the love people have for the Leelanau County area by selling t-shirts, hats, coffee cups, bumper stickers, wine, and other items with the state highway M-22 logo on them. State highway M-22 winds through the scenic coastal areas northwest of Traverse City, and along the Sleeping Bear Dunes, Michigan's "pinkie." A winter storm passed over the northern part of the state starting last Friday night. One meteorologist described it as a "cement-mixer" type of snow. Interlochen Public Radio's Peter Payette reported "the heaviest snow came down on Leelanau County this weekend where 20 inches fell according to an estimate from the National Weather Service." 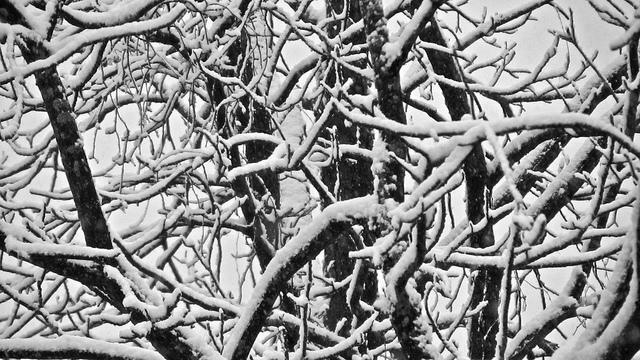 The snow was wet and clung to trees and utility lines around the region. 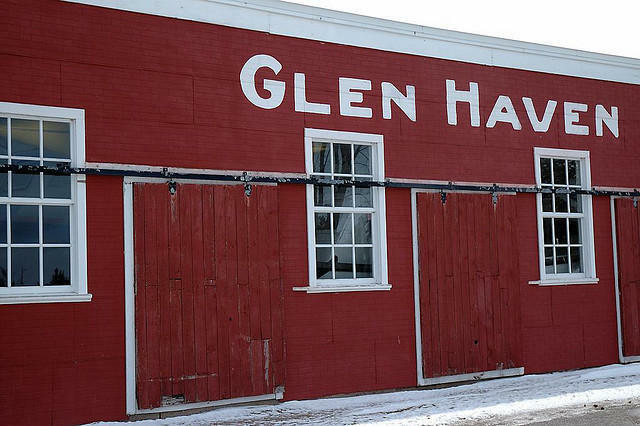 All phone service went down in Leelanau County, even cell phone coverage. Much of that was restored by Saturday evening but many roads there and elsewhere remain impassable due to downed trees and snow. On Saturday the American Red Cross scrambled to set up warming shelters from Baldwin to Cheboygan. And many hotels in Traverse City filled up Sunday night. Consumers Energy says 35,000 customers still have no power in northern and northwestern Michigan due to storms that began Friday. Nearly half the outages are in Leelanau, Benzie and Grand Traverse counties. The utility says the "destructive nature" of the storm has been a challenge to repair crews. Most customers north of U.S. 10 should get their power back by midnight, but the wait in some of the hardest-hit counties could stretch to Tuesday. Those counties include Benzie, Charlevoix, Crawford, Grand Traverse, Leelanau and Manistee. Public schools in Traverse City are closed today, and people who see downed power lines should call (800) 477-5050 or local police.